CALGARY, Alta. (Monday, February 5, 2018) – Rolling right along with 44 wins in 52 outings sees the Carleton Place Canadians (CCHL) holding down their place as the No. 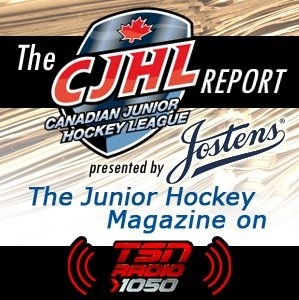 1 ranked Canadian Junior Hockey League again this week. Meanwhile the red-hot Okotoks Oilers (AJHL) and Nipawin Hawks (SJHL) are also among the highly-touted teams in the CJHL. MHL: The Edmundston Blizzard (No. 19) are two points up on the Yarmouth Jr. A Mariners (No. 20) in the quest for first place overall in the MHL with a game in hand. LHJAAAQ: No. 8 Cobras de Terrebonne are now four points clear of No. 13 College Français de Longueuil as those LHJAAAQ powers vie for top spot in Quebec. CCHL: While Carleton Place remains No. 1 for another week, another CCHL side in the Fred Page Cup-host Ottawa Jr. ‘A’ Senators (No. 6) have reached 40 wins too. OJHL: The Toronto Patriots (No. 7) and Georgetown Raiders (No. 18) crack the Top 20 while the Aurora Tigers, North York Rangers and Oakville Blades picked up Honourable Mention recognition this week. NOJHL: Continuing to sit atop the NOJHL standings, the Powassan Voodoos were slotted ninth in the CJHL. SIJHL: The Thief River Falls Norskies slid to at No. 5 in the 132-team CJHL while the Dudley-Hewitt Cup host Dryden GM Ice Dogs dropped to No. 15. MJHL: The Steinbach Pistons are now No. 4 in the CJHL while the Virden Oil Capitals solid play helped them pick up an Honourable Mention nod over in Manitoba. SJHL: The No. 3 Nipawin Hawks have not lost in regulation in 28 games, including 25 wins. Meanwhile the Battlefords North Stars move to No. 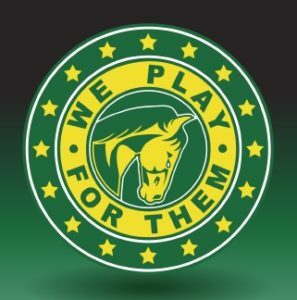 11 nationally and Melfort Mustangs stay at No. 17 in the country. 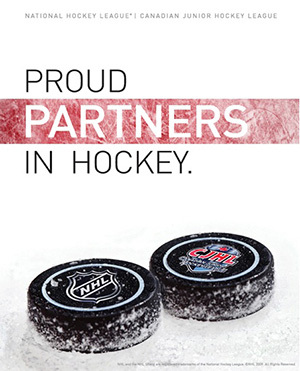 AJHL: No. 2 Okotoks has reeled off 14 straight wins and have a comfortable lead in the overall AJHL standings. The now No. 10 Spruce Grove Saints lead their division while the No. 12 Brooks Bandits have won 10 straight. The No. 16 Fort McMurray Oil Barons remain ranked. BCHL: The BCHL’s strong Interior Division features four 30-plus win teams. Leading the way is perennial power, the Penticton Vees, who continue to move up the CJHL rankings as they are slotted No. 14 this week. Playing .700 hockey, the Wenatchee Wild are 8-1-1 in their past 10 and earned Honourable Mention status.